What do you get when you have a room full of construction professionals, a Master Distiller of bourbon, great food, and many unique items up for bid? You get a great time had by all! 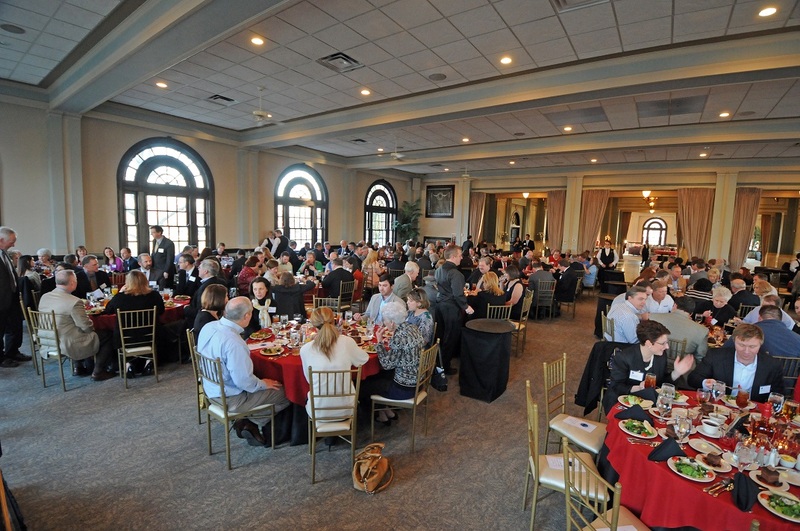 This spring, the Builders Exchange of Kentucky hosted its 86th Annual Member Gala at The Olmsted, and Maker’s Mark Master Distiller, Bill Samuels, Jr. was our featured keynote speaker. 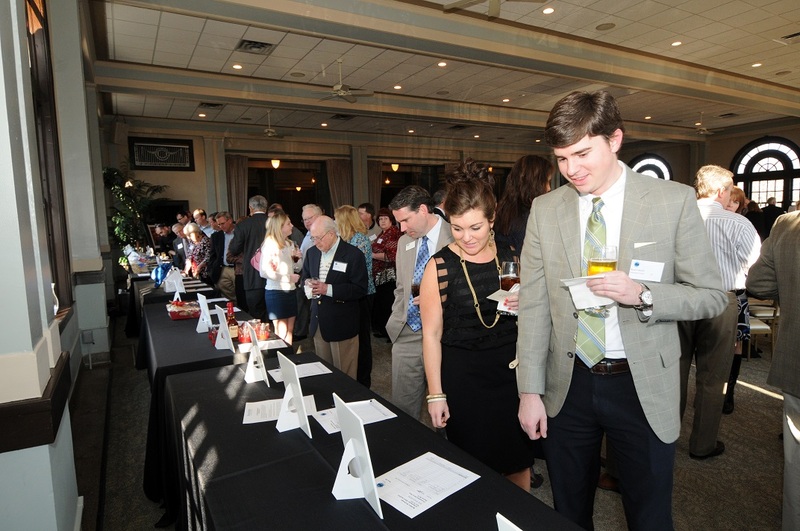 With an estimated 300 guests in attendance, which was a record for our event, we started the evening with a social hour of cocktails, heavy hors d’oeuvres, and our first ever silent auction. The auction was created by the Special Events Committee of the Builders Exchange. More than twenty-five items were up for bid with all proceeds going to support the Builders Exchange scholarship fund. After the crowd enjoyed a wonderful plated dinner served by the staff at the Olmsted, we were delighted to have Bill Samuels, Jr. share stories about his family’s creation and planning of the Maker’s Mark Distillery. Mr. Samuels drew several similarities between his family’s business challenges and what our members are facing right now in a tough economy. As the program continued, we paid tribute to our members for their long tenure with the Builders Exchange starting from 25 years up to 55 years! It was exciting and rewarding to honor many of the members who have been associated with the Builders Exchange for such a long period of time. We also recognized the Builders Exchange Scholarship Award recipients who received almost $40,000 in funds to attend a college of their choice. This brought the total awards to more than $300,000 since the scholarship was created over fifteen years ago. 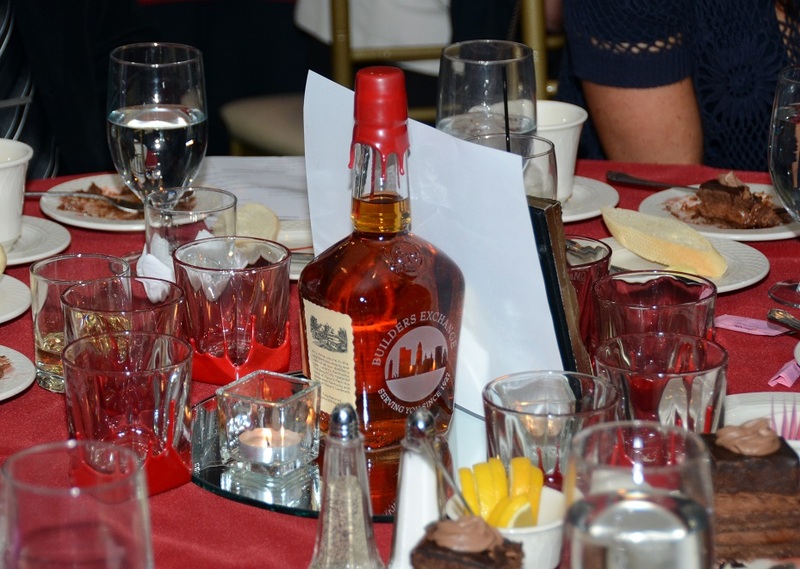 After the scholarship awards were presented, one randomly selected person at each table received a commemorative Maker’s Mark bottle that had the Builders Exchange of Kentucky logo engraved on it. Naturally, Mr. Samuels was more than gracious to stay afterwards and sign many of the bottles and have his picture taken with our members. To close the evening, our Board President, Sam Tommie of River City Glass & Mirror, gave our toast with a theme for all of us to remember in that “we are all ONE membership”. A great message to end a great evening enjoyed by everyone. View the gallery below for more pictures.